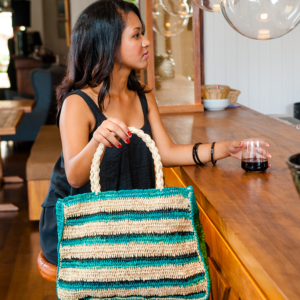 Made with 100% raffia, it is entirely handcrafted. It is recommended to keep it dry. Please handle with care. 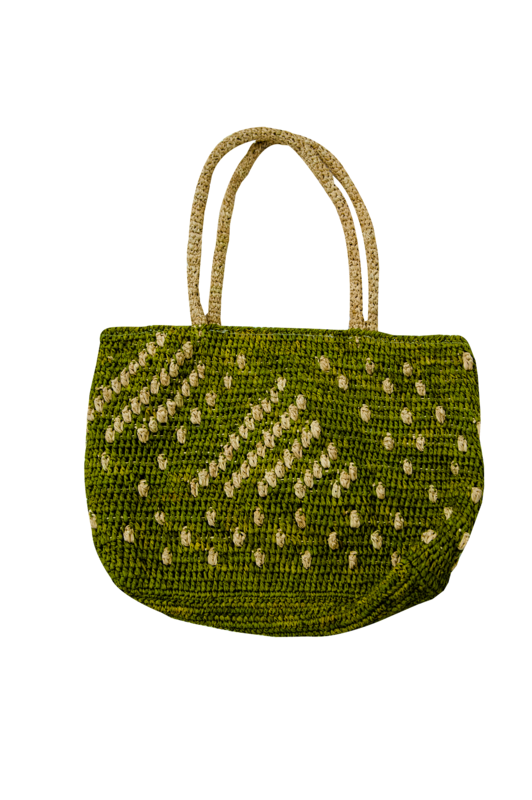 Our Ana Green raffia handbag is all about classicism mixed with bohemian style: the weaving and the braided raffia straps make it unique and timeless. At work, during the week-end or for holidays: the choice is yours.